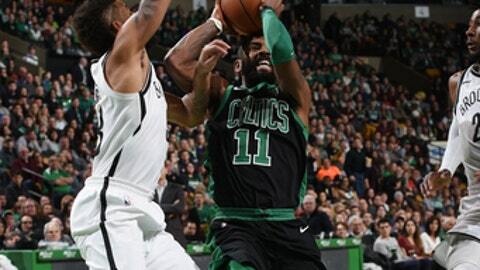 BOSTON (AP) The Boston Celtics squandered several opportunities to put away the pesky Brooklyn Nets before Kyrie Irving ended the comebacks. Marcus Smart made 1 of 2 free throws with 15.2 seconds left, and then Irving – who went 4-for-4 from the foul line – added two more to seal it. ”They’ve had everybody’s number in the East for a couple of years now and we’re among that list,” Boston coach Brad Stevens said.